For years I’ve been known as “Tony no pants.” Not by the ladies, but my golf buddies. Even in the coldest winter conditions I wear shorts. I have many reasons for wearing shorts. The primary ones are that I tend to get very hot in long pants. I often find long pants to be uncomfortable because I have thick, short legs. Heat, comfort, fit… Good reasons to avoid long pants. 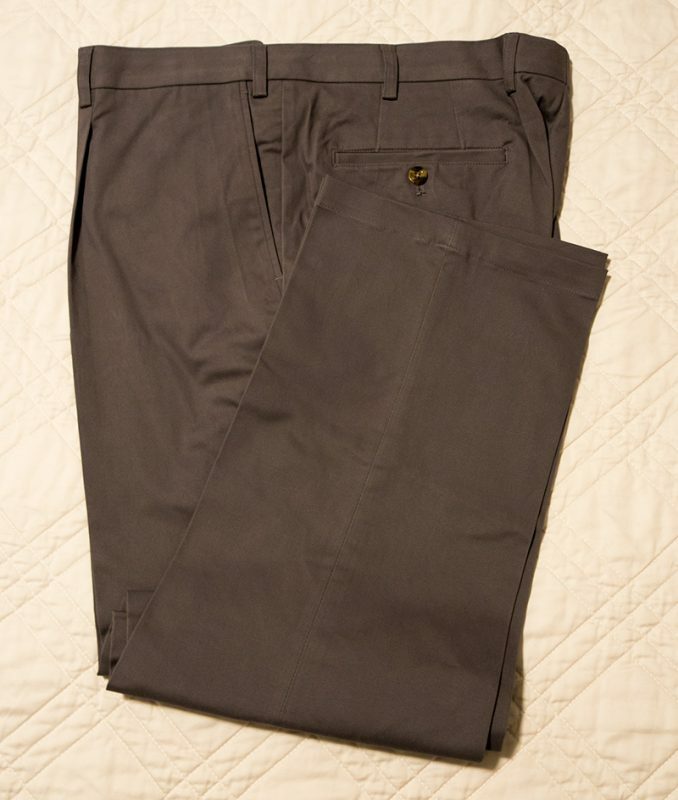 This summer I had to get my hands on some golf pants because a couple of the clubs I was going to play in Scotland required “trousers.” “Trousers” is UK speak for pants. For a pant to work for me I figured it would need to have an athletic fit but be very flexible. Plus it would need to be NOT cotton. I’m not a cotton fan. It would need to be a polyester or spandex. Or perhaps a “poly-span” combo. Enter the Puma Tech pants. Just what the apparel scripter ordered. My waist is a moving target depending on the time of year, and depending on how many people bring free donuts to the break room at work. I was happy to find the fit on the Puma Tech pants is flexible. A comfortable waist is a must and even with the ups and downs of the summer waistline the Tech Pants are always comfortable. The spandex/poly fabric stretches and moves with me, instead of resisting. 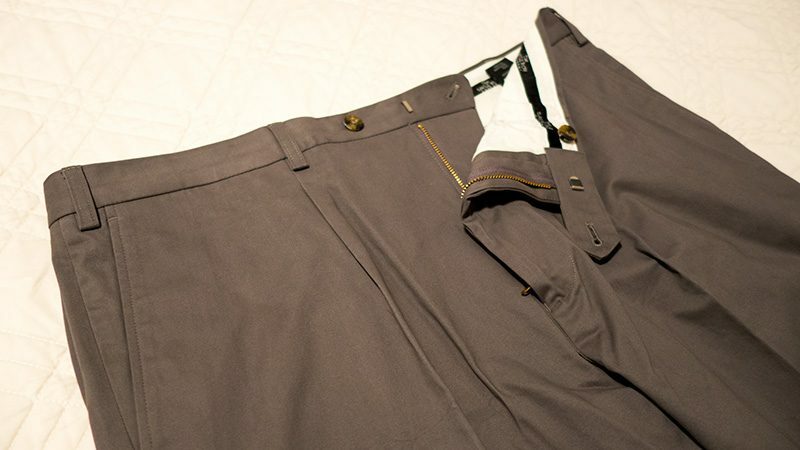 Speaking of spandex/polyester… The fabric on the Tech pants is 97% polyester and 3% spandex. 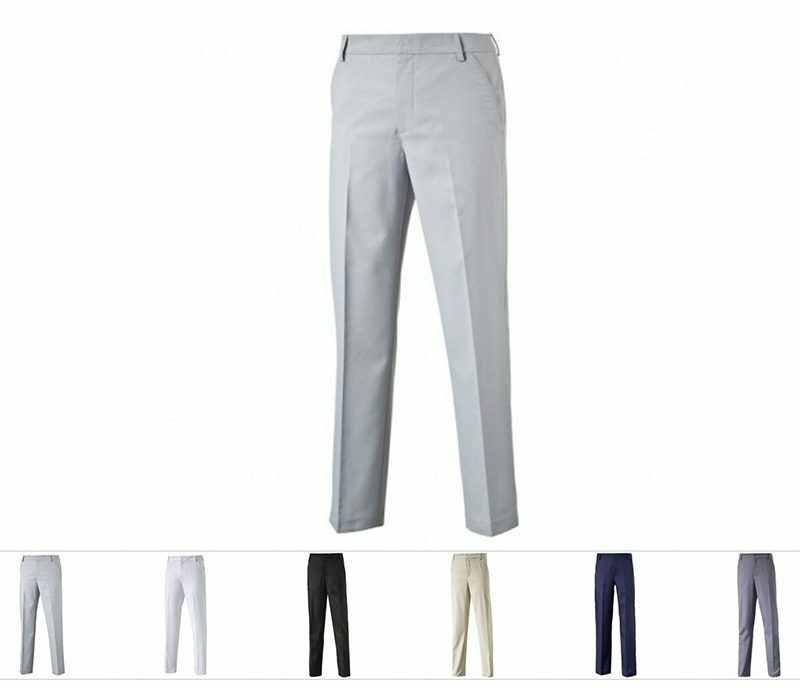 The Puma formulation results in very light and comfortable pants which don’t get me too hot. As mentioned, heat and heat management is a real issue for me when it comes to pants. I’ve been more comfortable in these pants than any other long pants I’ve ever worn. One reason for that comfort and coolness is the airflow created by the Puma 3D Cell fabric. If you look closely at the fabric, you can see each individual little cell, with gaps between them. dryCELL technology in the pants wicks moisture away from the wearer. I need this. Naturally Puma is on the hip end of the style spectrum. I know I’m sporting the latest in style and design with the Tech Pants. But at the same time these classic and classy looking. 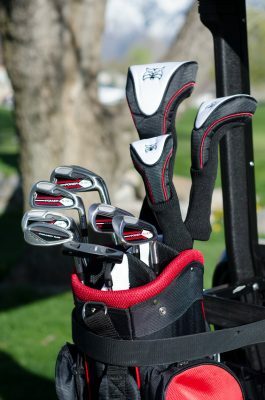 They work well on the course or at the office. And sometimes those two are the same thing. When I have to wear long pants at the office these are a big help between the comfort and heat management. On the course, when I need to dress up a bit, I’m still comfortable. I’ve got a black pair and a silver pair. I really love the silver pair. The color is great and the versatility is tremendous. Really with the black or silver I can wear nearly any color shirts or tops. I don’t like to wear long pants. But when must wear long pants the Puma Golf Tech Golf Pants are my gamers. I love that statement. 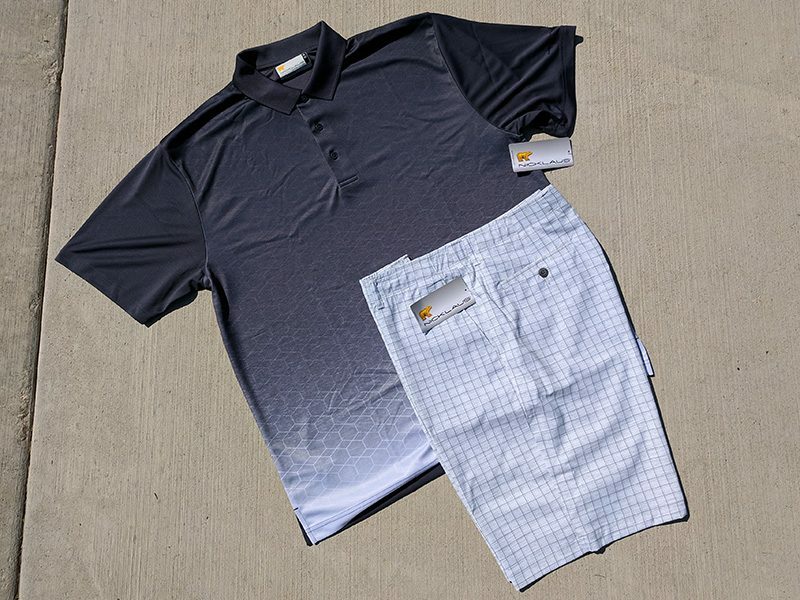 It seems many golf apparel makers are going for shock value, and becoming less and less classy and sophisticated. Those flashy products may be hot for short period, but become passe quickly. Conversely, a product like Devereux with it’s simple and elegant styles, stands the test of time. The simple and stylish Andrew polo, part of the “72 Collection,” is certainly not one where the user needs to know where the replacement batteries go. 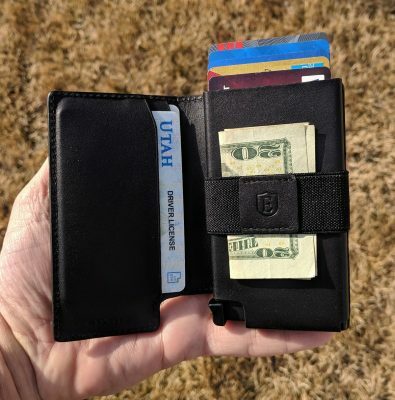 The $75 Andrew is sharp, classy, elegant, and easy to put together in all sorts of apparel scripts. The Andrew comes in four colors: steel (pictured above), aqua, coral, navy. Each color easily pairs up with numerous short/pant combinations. I recommend pairing the Andrew up with the Devereux Martin Shorts (review coming soon). Sizes for the Andrew polo: small, medium, large, extra large, double extra large. 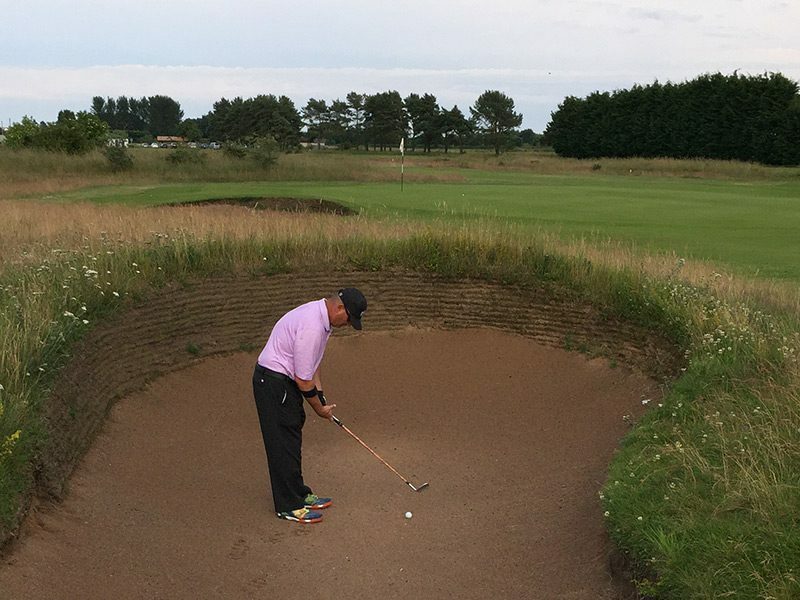 I’ve had the Andrew in play for many rounds this golf season, in some very different conditions. Earlier in the spring I put the Andrew through the colder temps here in northern Utah. Then a trip to Indiana had me testing out the polo in high humidity and 97 degrees. And just this week I wore the polo for a round in which the air was extremely dry and the temperature at the end of the round was 104. In those varying conditions the polo performed well and stayed comfortable. 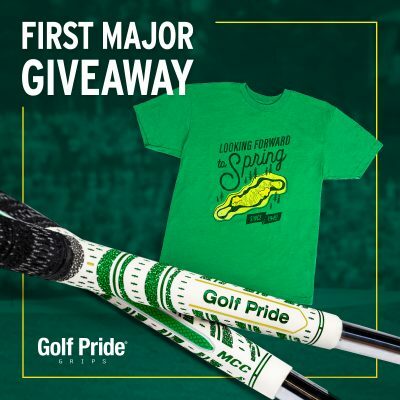 During the golf swing some poorly designed polos can bunch up, pull, tug, and come untucked. The Andrew’s cut keeps me comfortable. Even with my violently spastic golf swings the polo stays in place. 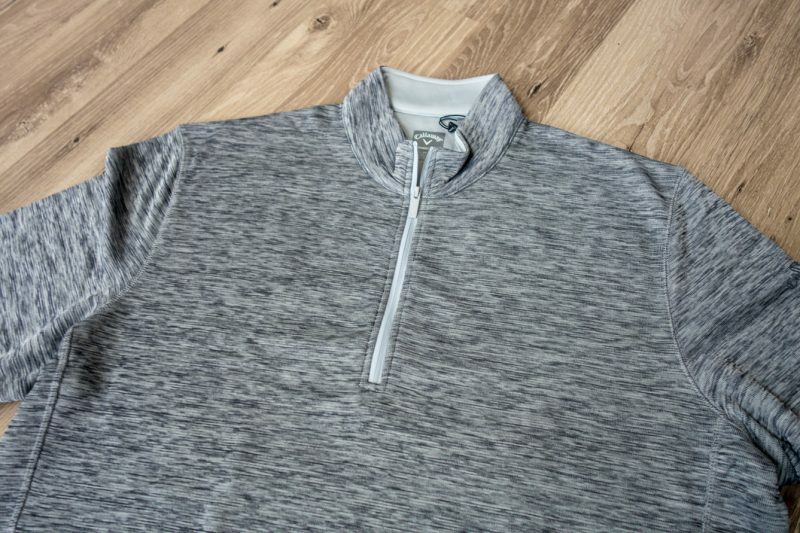 The Andrew is great to wear while writing golf blog posts at HOG world headquarters, or when out on the town. It can work great in business casual situations. 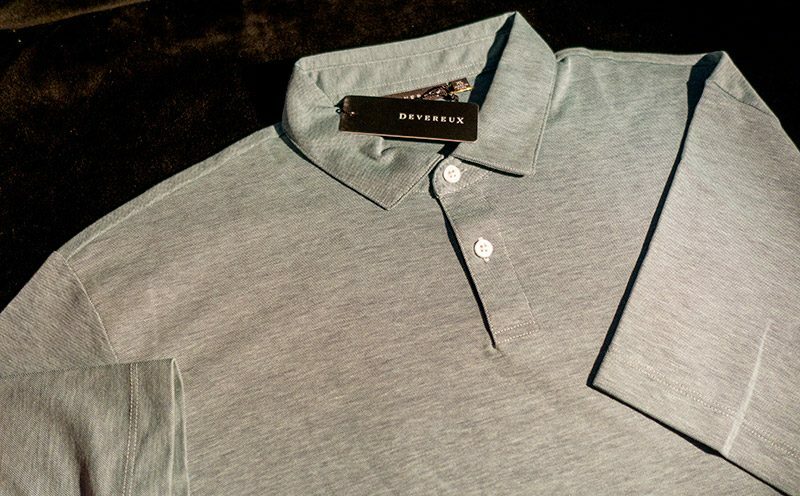 The Andrew polo by Devereux is a solid performer on and off the course. 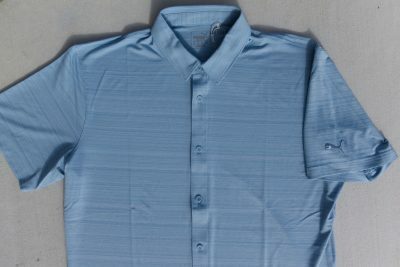 It exceeds my strict requirements for golf polos: performance, comfort, style, and easy care. Set your apparel script up with some proper threads.